Do you have a Bigfoot story? 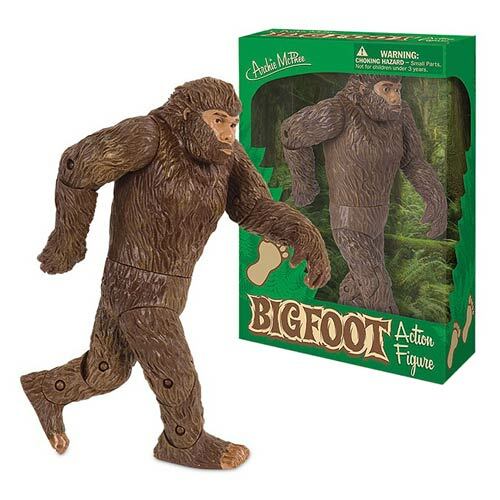 Animate it with this Bigfoot action figure. The Bigfoot Action Figure pays homage to a cryptozoological creature that just wants to be left alone. He's grown his hair out and lives off the grid deep in the woods of the Pacific Northwest. This 7-1/4" tall hard vinyl Bigfoot Action Figure is the perfect thing to have to illustrate your enthusiasm. Intricate articulation allows it to be posed just like frame 352 of the famous Patterson film footage. Collect or use this Bigfoot action figure today!